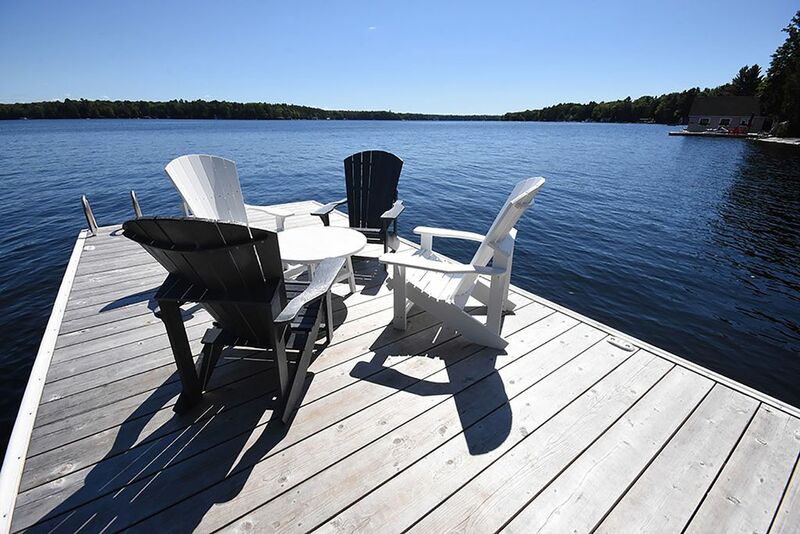 Situated on Lake Muskoka this property is centrally located between Bala and Port Carling. The cottage is in a bay across from Acton Island which makes the water very calm and ideal for swimming and water sports. This property sits on 1.2 acres of FLAT LAND VERY RARE in Muskoka perfect for families with young kids to run around the property. The property has 230 feet of Lake frontage with a sandy beach and gradual slope into the lake. There is also a big granite slab for shallow areas but slopes into deeper water for swimming and water sports. The main cottage has 3 bedrooms one bathroom with great views of the lake and a newly renovated kitchen. There is also a separate stand alone boathouse with a bedroom, bathroom, running water and a great screened in patio overlooking the long views of the lake. The boathouse has both a Queen Bed that sleeps 2 and two Twin Beds that each sleep one. This property is perfect for an extended family or 2 families that want to vacation together. We have been coming to Muskoka for years. Now we have found the perfect cottage. This property met our needs perfectly. Both our families had an incredible week at Justin & Jenn's wonderful cottage. The cottage is clean, spacious, comfortable and has a very stylish 'Muskoka' feel to it. We spent most of the week on the dock, which provides incredible morning views to the south and east, but still stays in the sun until late in the afternoon. And with Don's Bakery and ice cream just a few minutes away in Bala it made for the perfect cottage vacation. Thanks for a fabulous week!